4.125" closed. 3" partially serrated stainless blade. Gray aluminum handle. 4.125" closed. Gray aluminum handles. 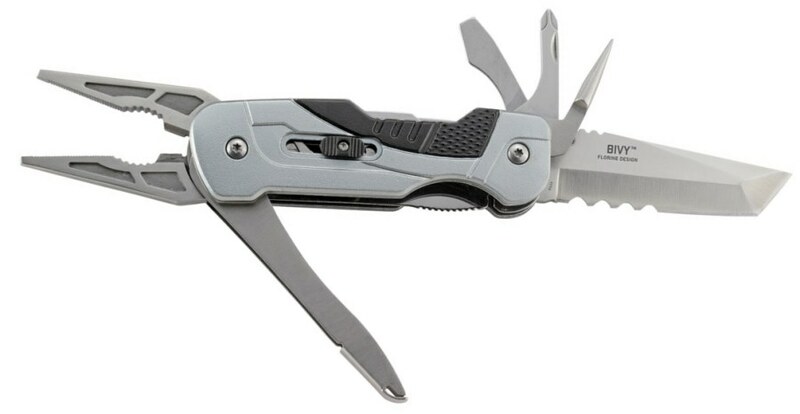 Tools include: Pliers l Philips screwdriver l Small screwdriver l Phillips screwdriver. Tanto blade with thumb stud. Marlin spike. 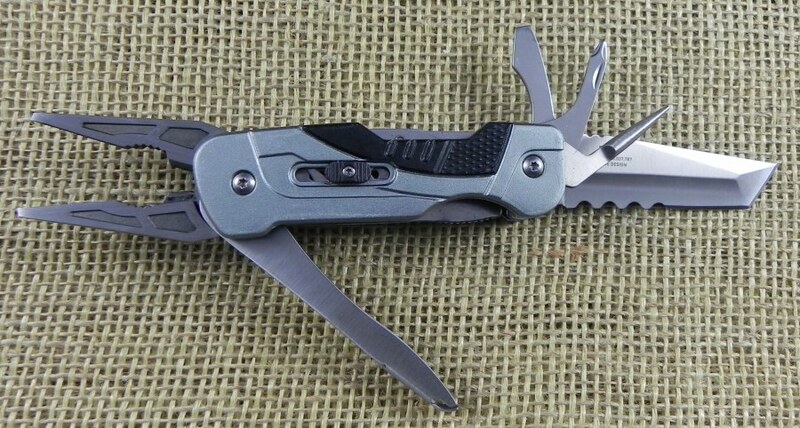 Pocket clip. Boxed.